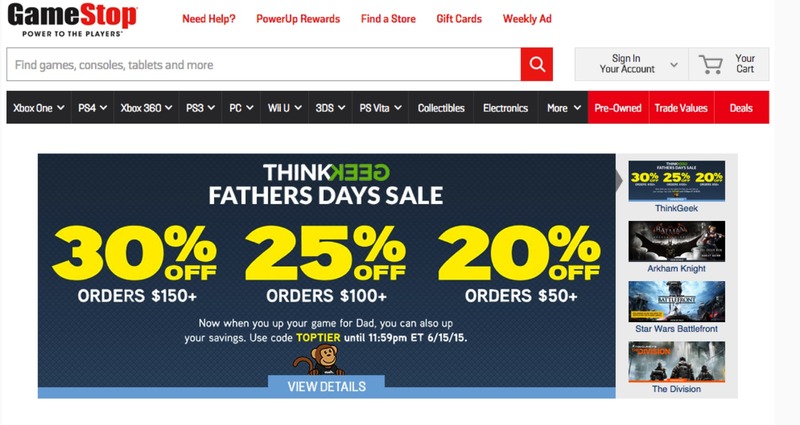 BREAKING NEWS – GameStop will acquire ThinkGeek @gamestop @hottopic @thinkgeek #makerbusiness « Adafruit Industries – Makers, hackers, artists, designers and engineers! Whoa, stop the presses! GameStop Corp. Announces Agreement to Acquire Geeknet, Inc..
GameStop Corp. a family of specialty retail brands that makes the most popular technologies affordable and simple, and Geeknet, Inc. (Nasdaq: GKNT) (“Geeknet”), the parent company of ThinkGeek and ThinkGeek Solutions, today announced they have entered into a definitive agreement under which GameStop will acquire all of the outstanding shares of Geeknet’s common stock for $20.00 per share in cash. The transaction has been approved by the board of directors of both companies and will be completed by means of a tender offer. The transaction has a total equity value of approximately $140 million, including $37 million of cash and cash equivalents as of March 31, 2015. Geeknet also announced that it had terminated its previously announced merger agreement with Hot Topic, Inc. (“Hot Topic”). Following discussion with both GameStop and Hot Topic, the Board of Directors of Geeknet determined that the GameStop transaction represented a superior proposal. Geeknet will pay Hot Topic a termination fee pursuant to the Hot Topic agreement, for which GameStop has agreed to reimburse Geeknet. Read more. The previous offer was $17.50 per share.